Vince Lucido from EVGA has just teased the fans with a picture of an Nvidia GeForce GTX 980 Classified Kingpin edition on his facebook page. 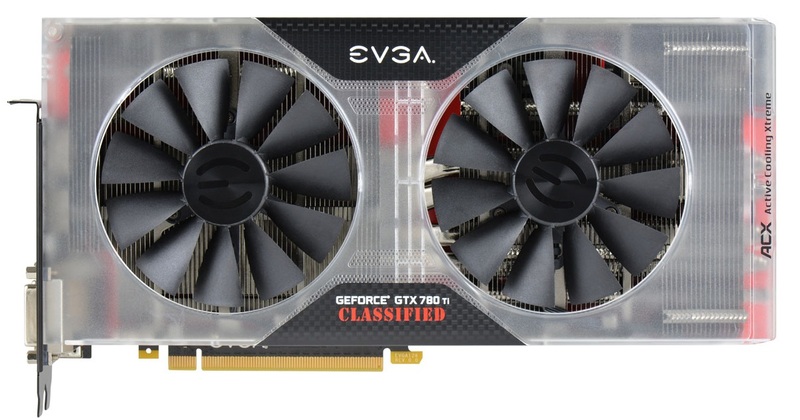 This has been a hotly anticipated card from EVGA and for good reason. Its mere existence was arguably under question after MSi publicly stated that it will not bring out a Lightning version of the GTX 980. The company indicated that it was actually waiting for the more worthy chip and the true flagship that is GM200. Many in the press had assumed that EVGA would do the same so it may come as a surprise that EVGA decided to make a GTX 980 Kingpin edition at all. None the less it represents a pleasant surprise more than anything else. 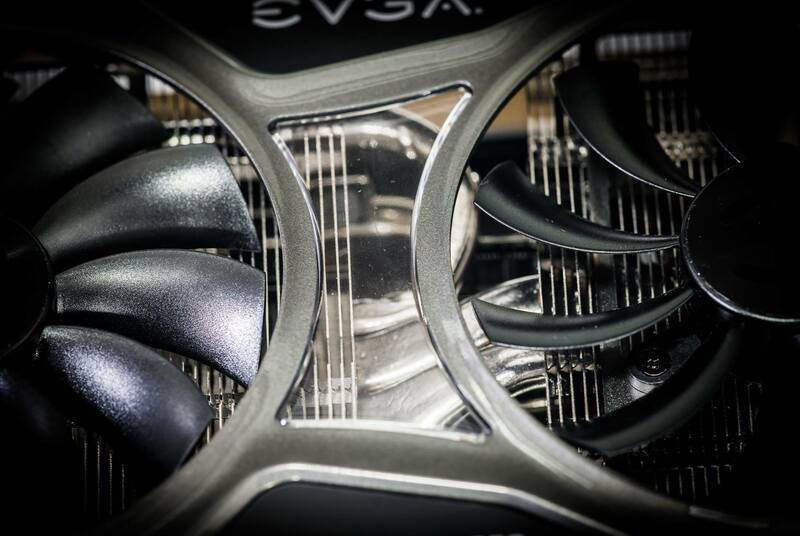 From the teased picture from EVGA we can clearly see through the cooling shroud of the GTX 980 Kingpin. Indicating that the translucent aesthetic featured int eh GTX 780 Ti Kingpin is going to make a comeback with the new GTX 980. However unlike the older version which featured a translucent yet a bit more murky and cloudy plastic shroud this appears to combine both a crystal clear panel or panels along with a black and silver aesthetic. Moving on, it’s difficult to estimate how many heatpipes the heatsink has. However we can clearly see that the heatsink assembly is cooled by two fans. And we did notice a very intriguing design choice here. Each fan is installed in a unique orientation. Looking at the fan blades we can see that the fan on the right has a much sharper fan blade posture designed to push the air to the left side more so than push it down the heatsink assembly. On the other hand the fan on the left side has a more traditional orientation with the fan blades postured to push air down the heatsink assembly rather than move the air laterally. This allows for the air to be pushed from the right side to the left side by the fan on the right and then down onto the heatsink assembly by the fan on the left. This is likely because the fan on the left side is sitting right on top of the GPU. Which means that the unique airflow system deployed here should prove to have a more direct cooling effect on the GM204 GPU core than more traditional systems. Going back to MSI’s stance we’re still taken back slightly that EVGA has decided to make a Kingpin edition of the GM204 core. It’s even stranger once you consider the new leak about GM200 that we covered yesterday. Our friends at videocardz.com feel the same way. They go on to theorize that this is perhaps because GM200 is still a ways off. This is slightly discouraging as it’s reminiscent of the GTX Titan launch in February of 2013. It is possible, we may see GM200 introduced in the GTX line of consumer cards in addition to its intended role as a Quadro professional product. But just like the GTX Titan, Nvidia may decide to preclude its partners from making any custom cooled designs and only authorize the sell of the reference designed model. That is until a more affordable, consumer oriented product is brought to the market at a later date. A product that represents what the GTX 780 was to the GTX Titan so to speak. This could explain why EVGA went ahead with the GTX 980 Kingpin rather than wait for GM200. We expect EVGA to reveal more fairly soon. We’ll update you as soon as we can when that happens.